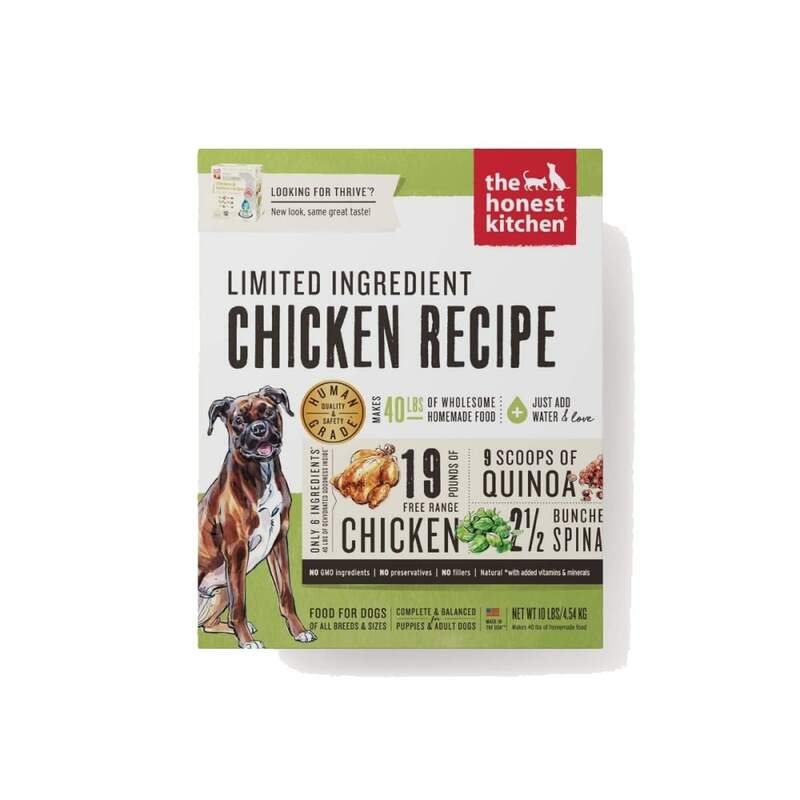 The Honest Kitchen Thrive™ dog food is a gluten-free dog food recipe made with free-range chicken, organic fair-trade quinoa and produce like sweet potatoes and spinach. 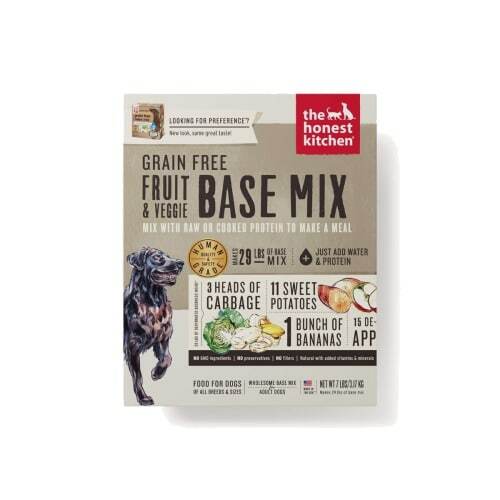 Thrive dehydrated dog food that’s designed for dogs of all life stages including adults, puppies, pregnancy and nursing, as well as active adult dogs who need a performance dog food. 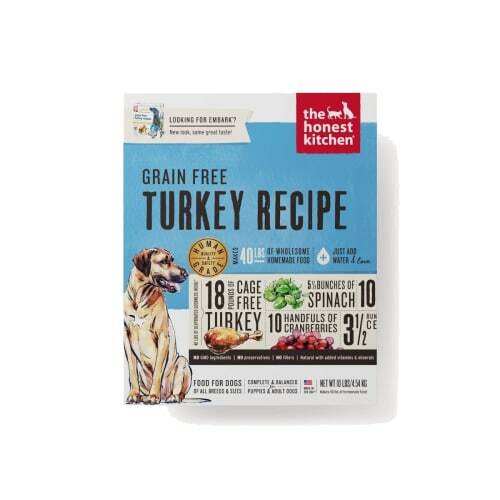 Thrive gluten-free dog food is a naturally low carbohydrate, high fat and high calorie diet. 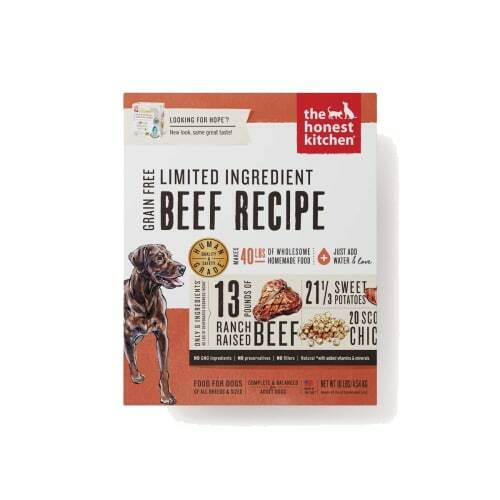 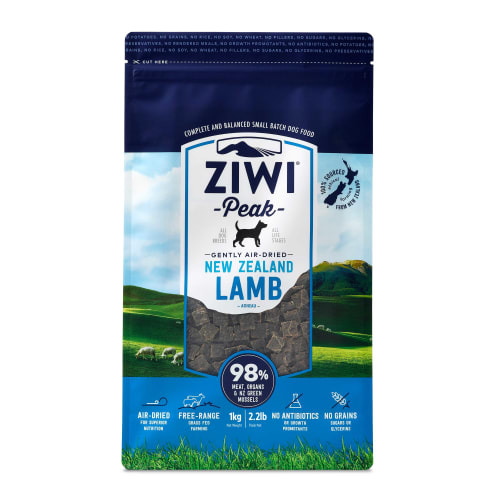 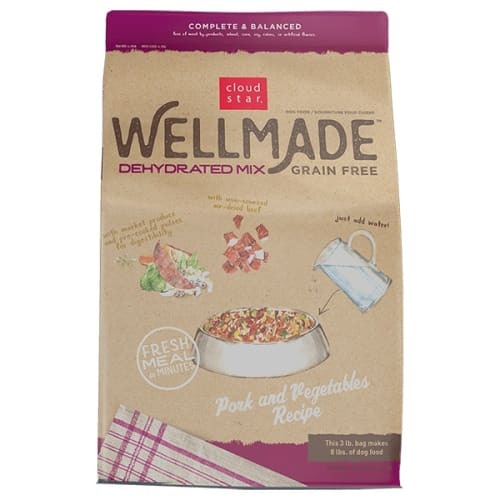 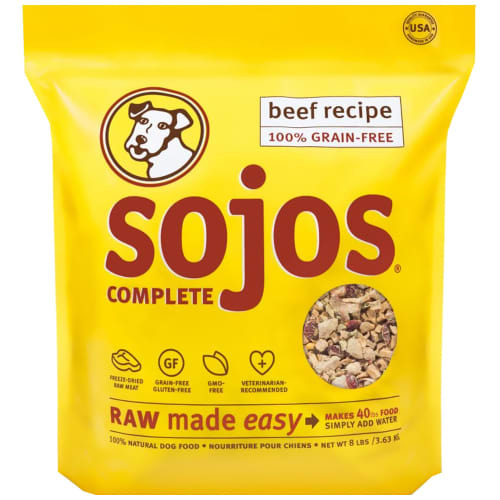 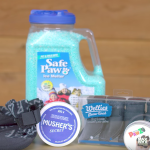 It is well-suited for dogs who need a limited ingredient food since it contains no fruit and is also free of eggs, beef, fish, white potatoes, flax and alfalfa. 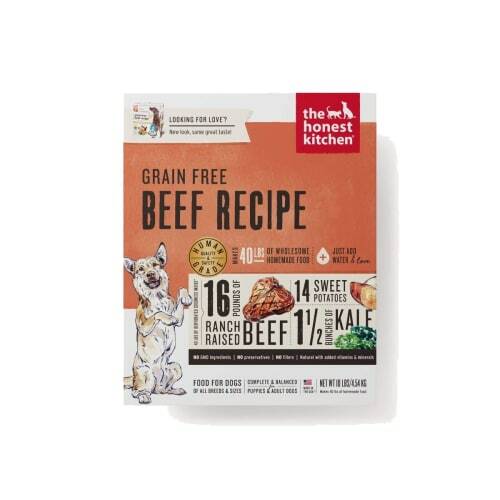 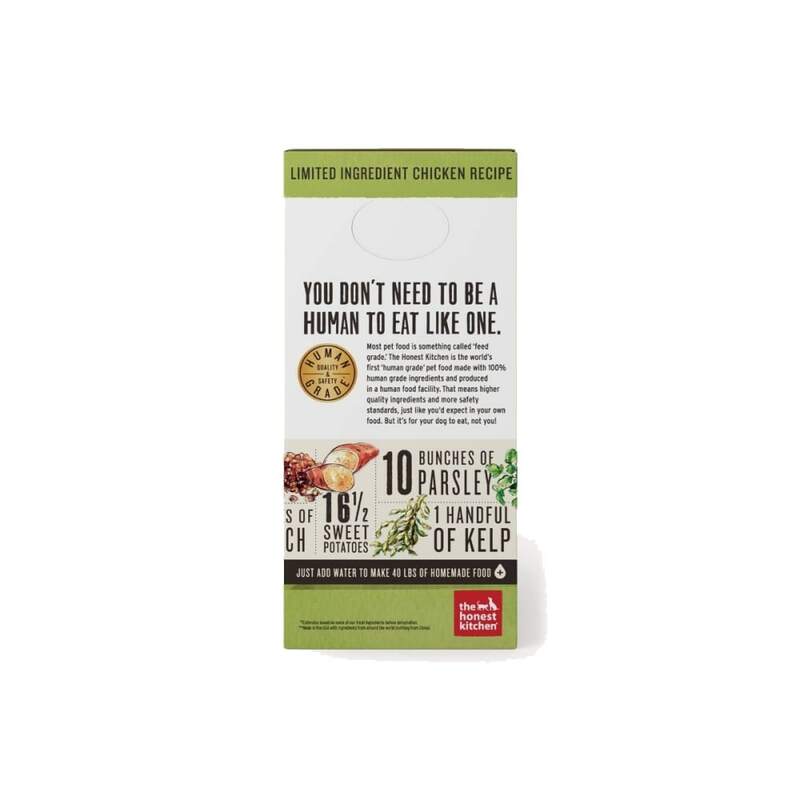 The Honest Kitchen ThriveÂ‰Ã£Â¢ dog food is a gluten-free dog food recipe made with free-range chicken, organic fair-trade quinoa and produce like sweet potatoes and spinach. 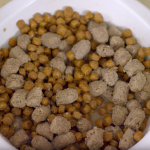 Thrive dehydrated dog food thatÂ‰Ã›Âªs designed for dogs of all life stages including adults, puppies, pregnancy and nursing, as well as active adult dogs who need a performance dog food. 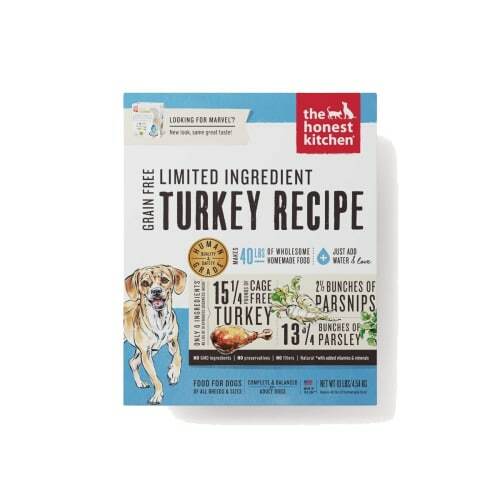 Thrive gluten-free dog food is a naturally low carbohydrate, high fat and high calorie diet. 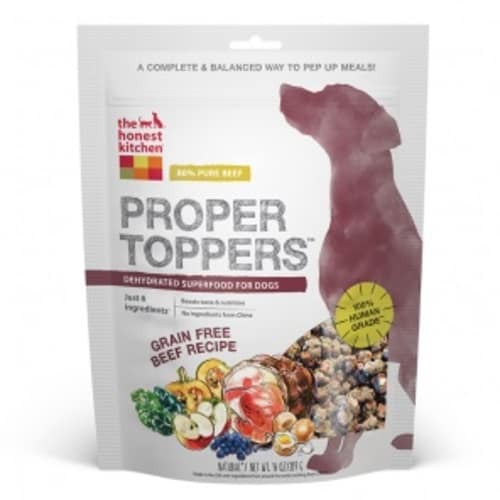 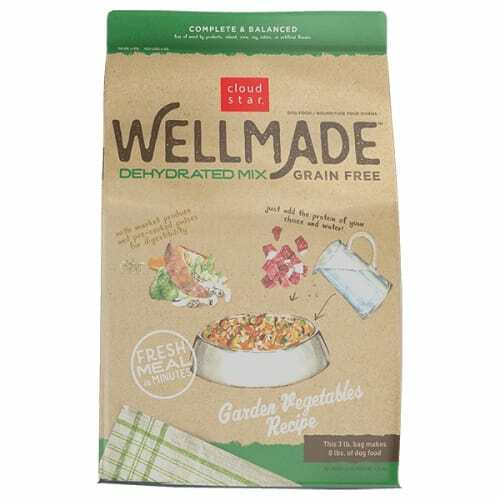 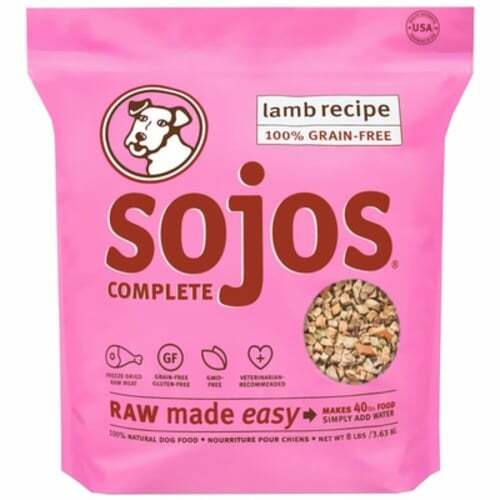 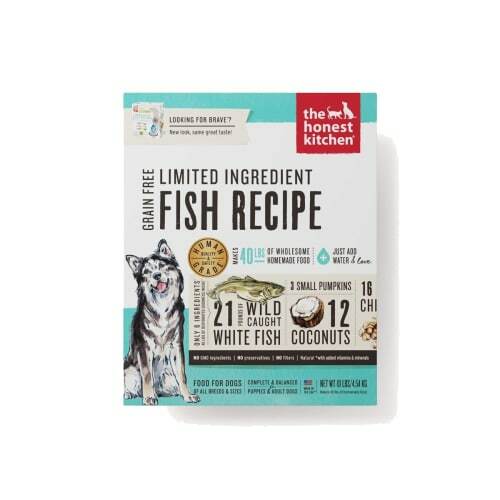 It is well-suited for dogs who need a limited ingredient food since it contains no fruit and is also free of eggs, beef, fish, white potatoes, flax and alfalfa.